MAINTAINS THE PH OF ALKALINE WATER. Pro Ban T is a water softener tannin and iron removal cleaner that is specially formulated to effectively lower pH and remove tannin and iron from fouled water softeners. The water softener tannin and iron removal cleaning powers of Ban T should be used as preventative maintenance on all water softeners in areas with moderate tannin or iron content to maintain the life of the softener. 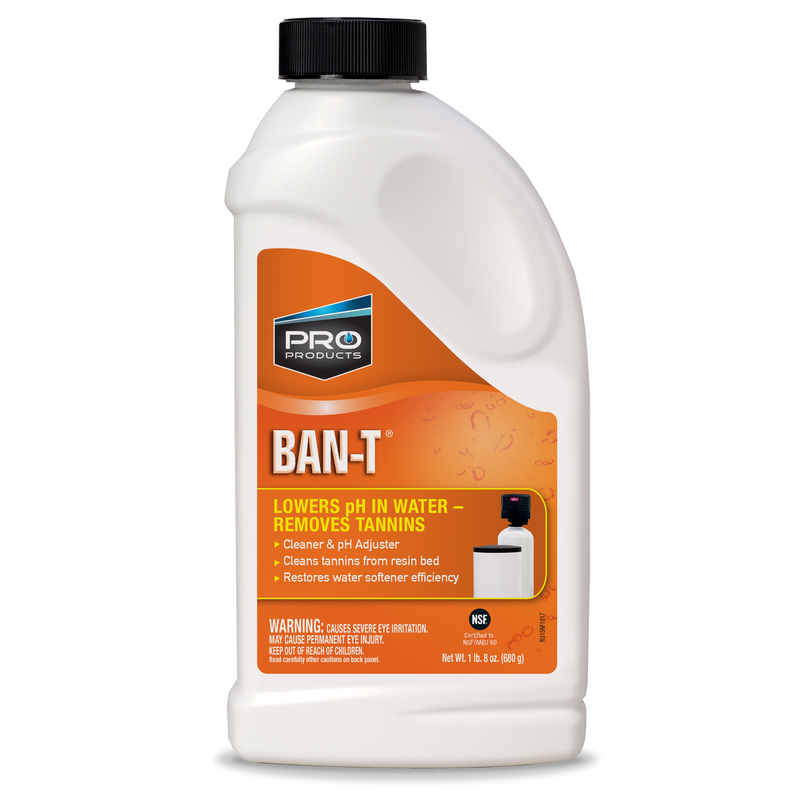 Ban T is an environmentally friendly water softener tannin and iron removal cleaning agent that removes hard water deposits, lime scale and moderate iron staining from household fixtures. Available in 1.5 lb, 4 lb & 45 lb sizes. First Time Use In Water Softeners: Dissolve 2 cups of the powder in 1 qt. of warm water and pour into the brine well. For softeners with no brine well, pour into the salt storage tank when salt level is low. 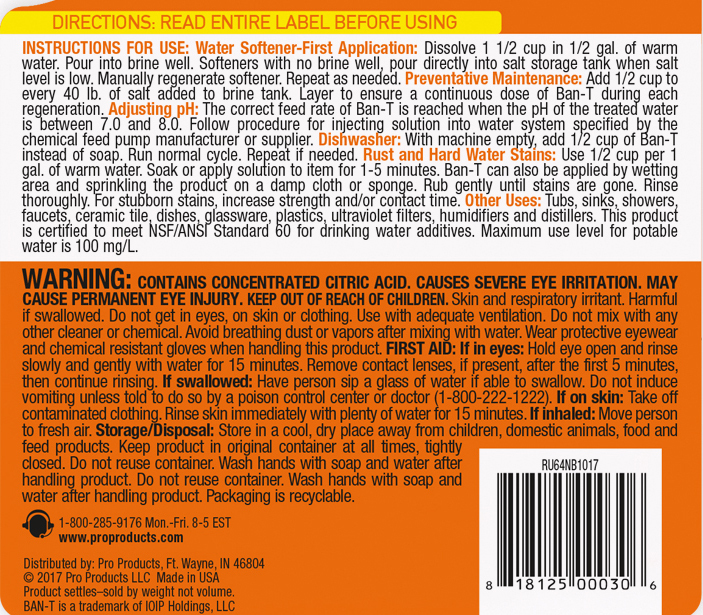 Manually regenerate the softener. Preventative Maintenance: Add 1/2 cup to every 40 lbs. of salt added to brine tank, and layer it to ensure a continuous dose of Ban T during each regeneration. General Purpose Cleaning: Ban T can be used on fiberglass, porcelain, glass, stainless steel or chrome to remove hard water deposits from tubs, sinks, showers, faucets, ceramic tile, dishes, glassware, plasticware, ice machines, ultra violet filters, humidifiers and distillers.